BONT Toe Guards! 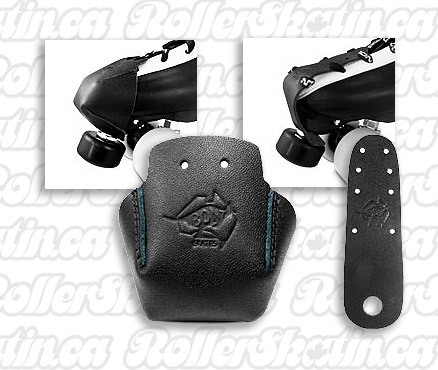 Set of 2 leather toe guards designed to protect the toe area of your Bont Quad Skates. Roller Derby is a contact sport and rubbing and dragging of the toe area on hard surfaces may result in the boot materials wearing out sooner than desired. These toe guards are extremely durable made from 100% Australian Leather and are designed to extend the life of your skates. Priced per pair, choose either flat or stitched cone shaped. BONT Hybrid Junior - Limited Sizes Available!